Our customers know us for our outstanding craftsmanship, customer service, and customized designs. 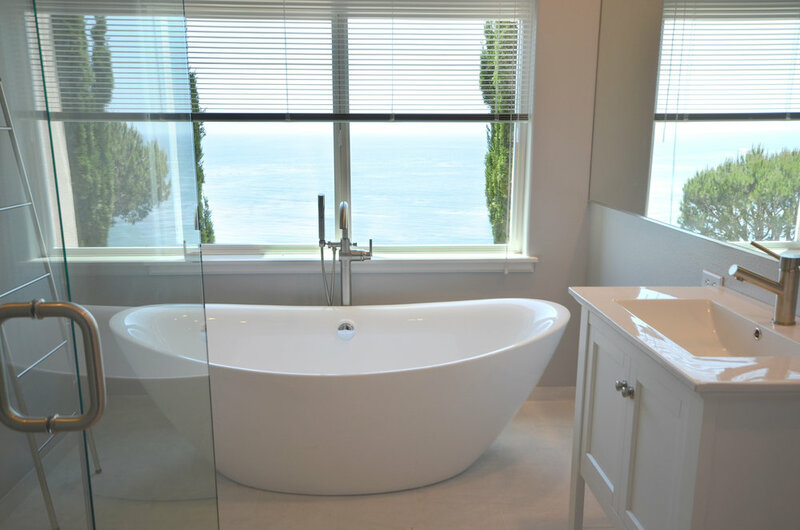 We invite you to view photos of bath remodels we've completed in Shell Beach which includes a list of materials used in each project. Here are some before and after photos that highlight this beautiful bathroom transformation. 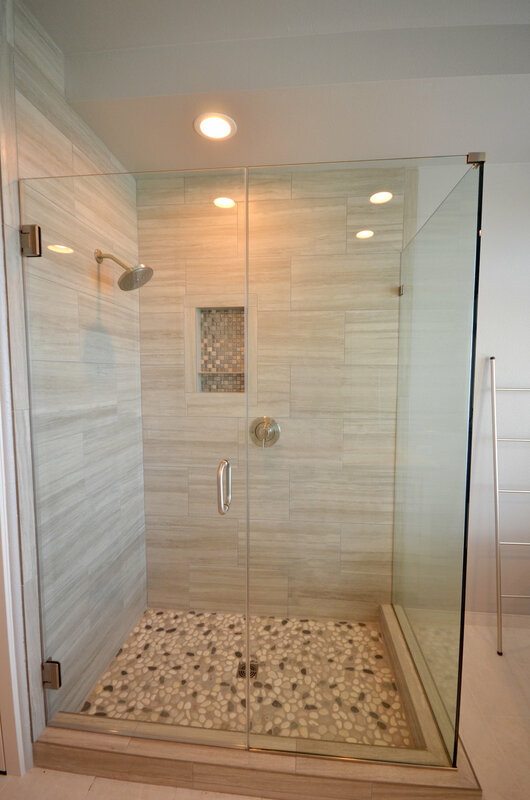 The client's vision was to have a modern / contemporary bathroom. 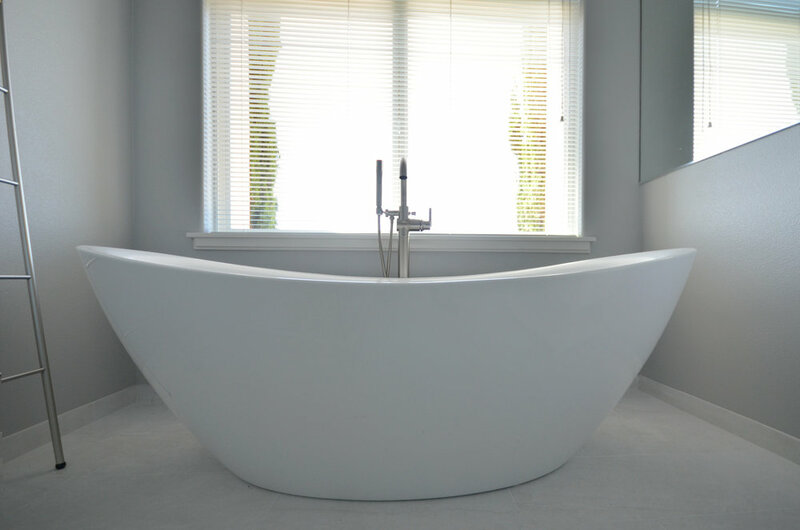 We'd have to say our one of our favorite "features" was the view from the freestanding tub. Shower Trim: Single handle Moentrol Pressure Balanced shower trim with Rain head.